We have expanded our series of lunchtime meet-ups! 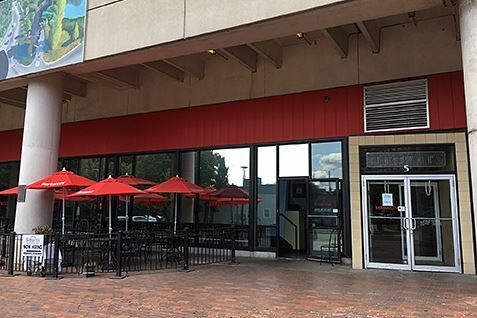 Join us for lunch at Bertucci's, 5 Cambridge Park Drive at the Alewife T station in Cambridge, MA, on Friday, September 29, at 1 p.m.
As in Burlington, there is no need to register in advance, and there’s no fee to attend other than the cost of your meal. Just show up at the restaurant and ask for the Society of Professional Consultants table. The restaurant is at the Alewife T station at the end of the red line. Bertucci's has their own free parking lot so you don't have to park in the MBTA garage. When you turn off of Route 2 at the Alewife T stop onto Cambridge Park Drive, the Bertucci's parking area is on your immediate left when you get to the stop light. There's a sign for "ExecuStay Apartments," and another sign nearby for Bertucci's Parking. Take a left at the light followed by a hard left into the Bertucci's parking area.